Graduated with top marks and honours from the J. Tomadini conservatory in Udine under the guidence of Prof. P. Tassini; She went on to specialize in the U.S.A. with E. Malone (Eastman University) and S. McDonald (Indiana University); in Itali with E. Zaniboni at the Accademia di S. Cecilia in Rome. She passed her diploma in harp and chamber music with top marks, honours and a study grant from S.I.A.E. First place in the international "E. Porrino" competition in Cagliari, she has also won numerous prizes in national and international competitions (UFAM di Parigi, city of Stresa, Salvi ecc.). 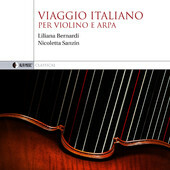 She has worked with many orchestras such as: Giovanile di Alpe Adria, Teatro Verdi di Trieste, the Oltenia Philarmonic of Cracow, the RAI Synphony orchestra in Rome and Naples, La Scala Theatre in Milan. 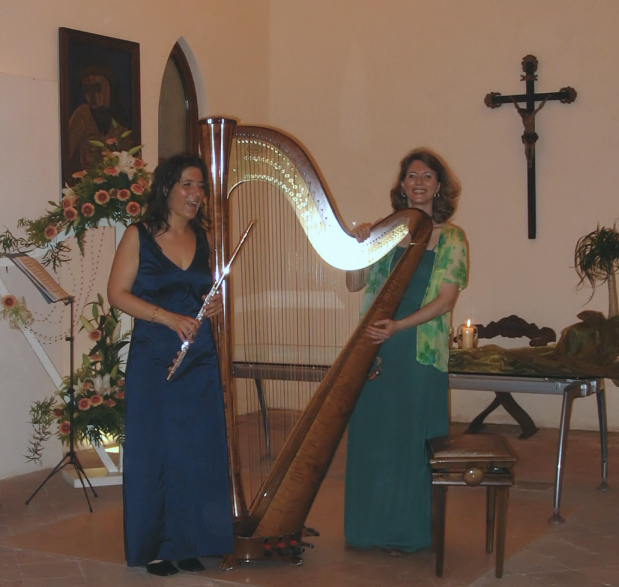 Since September 1995 she has been first harpist in the Slovenska Filharmonija in Ljubljana where she also performed solo. Director for numerous broadcasting companies in Italy and abroad: RAI, Antenne 2, Telecapodistria, SLO 1, SLO 3 and with the Quadrivium record company. For several years she has worked with Dramsam a medieval music group. She has performed in various groups along with other musicians.